Knowledge, reliable resources and long-term relationships – these are the building blocks that Business Design uses every day to help its clients form successful implementations. 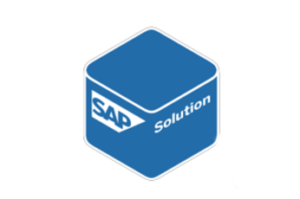 Our expertise covers various SAP modules. We have recommended and implemented best business practices. Some of the modules we have implemented and supported are listed below. Environmental Health and Safety (EHS). Our Company has a thorough knowledge of the business imperatives associated with SAP R/3 projects, a thorough understanding of the different roles, the phases of the lifecycle and the amount of effort required to deliver a successful solution to our clients. Business Design supports SAP Service Partners and SAP Software houses by providing on-site and remote SAP software development. Our software developers have vast experience with SAP technologies as ABAP/4. ABAP OO, ABAP/JAVA Web Dunpro, ΧΙ/PI. SAP connectivity with third part applications. Business Design has the skill and the knowledge to undertake the role of managing any IT related project regardless of size. Bearing significant experience in leading many multi-million IT projects (at both a national and international level), Business Design can be the ideal partner for outsourcing the management tasks of large IT projects related to many vertical industries. We offer a wide range of SAP support and maintenance options, from basic plans to collaborative partnerships. Explore our offerings and discover how we can help keep all of your systems running smoothly – 24/7.